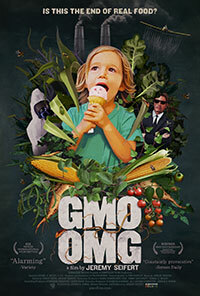 GMO OMG director and concerned father Jeremy Seifert is in search of answers. How do Genetically Modified Organisms affect our children, the health of our planet and our freedom of choice? And perhaps the ultimate question: is it even possible to reject the food system currently in place, or have we lost something we can’t gain back? These and other questions take Seifert on a journey from his family’s table to Haiti, Paris, Norway and the lobby of agra-giant Monsanto, from which he is unceremoniously ejected. Along the way we gain insight into a question that is of growing concern to citizens the world over: what’s on your plate?